Mr. Umesh Pandit from Berai Chock, Muzaffarpur has been running his cosmetics material and gift items shop known as ''Prince Studio & Gifts'' for the last 13 years. He wanted to add more stock to his shop and hence availed of a 䜼 lacs loan from Fino. With more stock, his income from the business has increased and he is able to better support his family of 5 members. 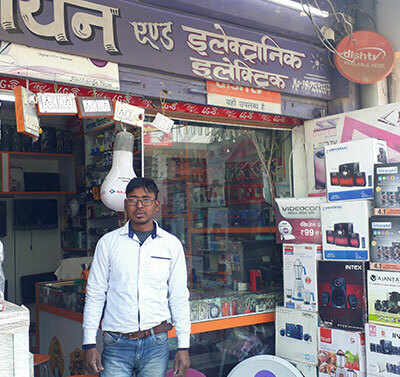 Mr. Jaitendra Kumar Vishwakarma from Mirzapur has been running his electronics shop, Aryan Electric, for the last 12 years. He has availed a loan of Rs 2,80,000 from Fino to upgrade the stock in his shop. With the loan amount his working capital has increased and hence he is now able to purchase stock directly from the distributor and not from the middle man. 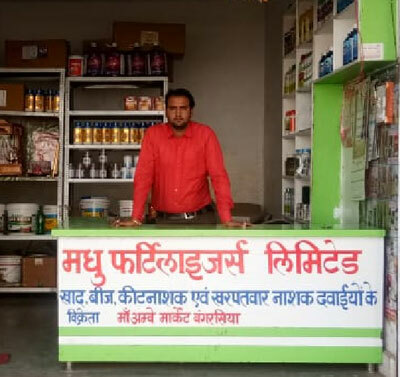 This not only helped him increase the profit margin but also helped him to stay ahead of his competitors by selling the goods at more competitive prices. Mr. Uday, for the lasts 8 years has been managing his shop known as 'Ravi Collection' which was set up by his father in 1987. His shop is well known in the locality of Saddupur Mohan for its good collection of readymde garments. 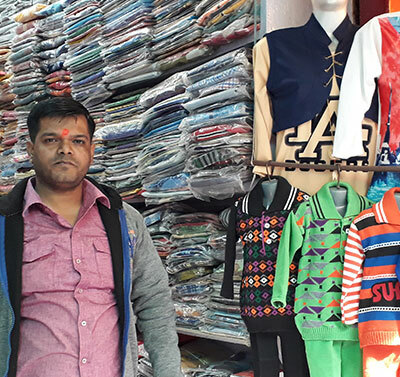 Recently, Uday understood the need to upgrade the collection of ladies and kids garments and also increase value of stock to cater to the increasing demand from customers. He came to know about the MSME loan provided by FFPL and availed a loan amount of Rs 3,00,000. Today he has almost doubled his inventory and income after investing the loan amount in his shop. Loan taken for: For Garment shop. Mr. Ramchandra from Mirzapur used to work as an electrician in Libya. 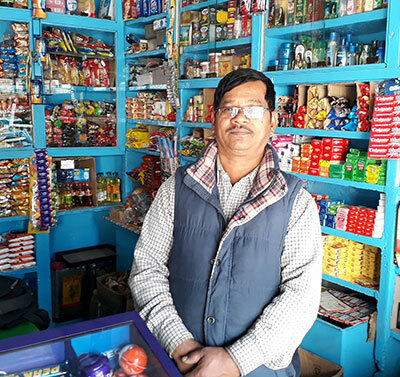 After returning to his native place Ramchandra opened a retail shop where he sells grocery items. His shop is also registered with FSSAI as he sells homemade spices. He wanted to expand his business by increasing his stock and adding some machinery. Ramchandra's neighbour Ramjee Gupta (who already had availed of Fino's MSME loan) advised him to take the MSME loan from FINO. Having availed the loan of Rs 2 lacs from Fino, his business has grown and profit margins have also increased. Mr.Chandraprakash lives in the Bhopal with his father, wife and 2 kids. He had been working as a mediator for the fertilizer distribution business where he used to store the supplies in his warehouse. He had always wanted to open his own retail shop to sell agriculture related goods, but was contrained by lack of capital. 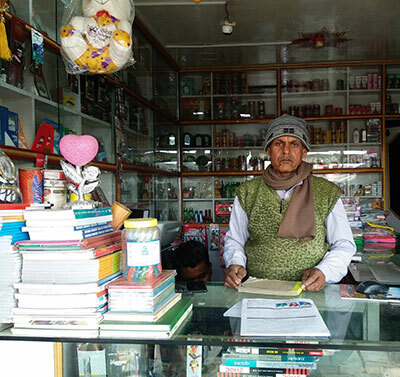 Having availed FFPL's MSME loan of Rs 5,00,000 with Fino, he was able to grow his business by setting up a retail shop. Today he is the only fertilizer and the seed seller in his locality and has been able to double his income owing to good profit margin in retail selling.